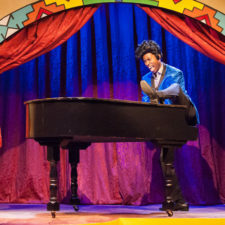 After a morning of playing video games in our introvert cave, my family of four braved a trip in the Sunday afternoon rain to Virginia Rep’s Children’s Theater at Willow Lawn to see Songs from the Soul, a play from Billy Dye teaching the history of African American music. I knew we had made the right choice when the music playing as we found our seats was MC Hammer, followed by Motown. As the room filled, it was nice to be in an audience of people that looked like Richmond. About half the audience was white and about half was African American. That’s not the default in our town, and I appreciate venues and events that make an effort to have a more diverse audience. The show consists of three African American performers – two men and one woman – who take the audience through slave songs and spirituals, jazz, Motown, modern rap, pop music, and everything in between. Some of it is through spoken word, and there are plenty of comedic moments in the back and forth between the performers, but the heart of the show is in the songs they sing. Highlights for me were “Take the A Train,” a spot-on impression from Anthony Cosby of Little Richard singing “Tutti Fruiti,” and Nicole Pearson as Queen Latifa belting out “Ladies First” during a rap medley. This is a show that doesn’t shy away from talking about race. The fact that slave songs came from human enslavement was not glossed over. The minstrel era section, talking about how black people had to pretend to be white people pretending to be black people really hammered home how few choices black musicians had. And all of the music was put in the context of how it would be appropriated by white people, who would make most of the money. And it did all this while being age-appropriate and extremely entertaining. Yes, things were simplified, but that’s exactly what you should be doing for 6- and 7-year-olds. Kids have an innate sense of “fair,” and this show did a good job of showing what kind of art comes from people who are victims of a grossly unfair system. The show ends with “Lift Every Voice and Sing,” a song commonly referred to as the Black America National Anthem. I’m embarrassed to admit I was completely ignorant of this song before the show, so I didn’t know what to do when it began and the African American audience members immediately stood up. Not knowing any of the context, I didn’t know if we should stand up, too, in solidarity or if it wasn’t for us and I shouldn’t intrude where it wasn’t my place; I wanted us to do what was most respectful. Speaking with our (also white) friends after the show, they also felt a similar conflict. Looking it up on the Internet so I’d be less ignorant in the future, I found it’s a beautiful song with powerful lyrics (you can read them here) and a great history. The next time I hear “Lift Every Voice and Sing,” I’ll be standing. During the ride home and into that evening, my little white family talked about race. We talked about how racist our country was, and how racist it often still is. My 11-year-old daughter put Songs from the Soul into the context of the history of the Civil Rights movement her fifth grade class is studying. My 7-year-old daughter talked about what she thought would’ve been fair. My wife and I talked about how and when to best use our privilege help break down this racist system that we benefit from. We don’t talk about race enough as a family, and I’m grateful that Songs from the Soul prompted that in us. 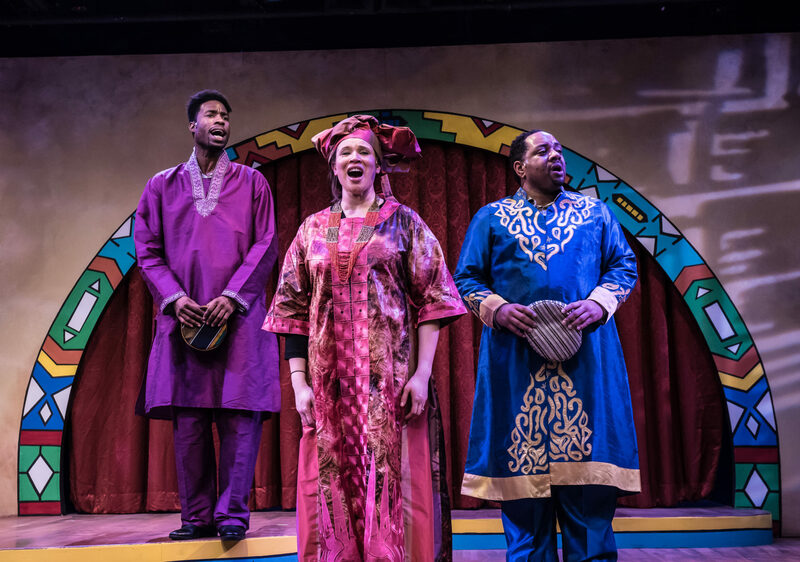 Experience Songs from the Soul – part of the Acts of Faith Festival – at Virginia Rep’s Children’s Theater at Willow Lawn through February 25. For showtimes and tickets, go here. 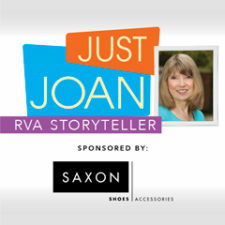 To read about the show’s creator, check out this article about Billy Dye in Just Joan: RVA Storyteller.